No sea voyage can be dull for a man who has an eye for the ever-changing sea and sky, the waves, the wind and the way of a ship upon the water. So observes H.W. ‘Bill’ Tilman in this account of two lengthy voyages in which dull intervals were few and far between. In 1966, after a succession of eventful and successful voyages in the high latitudes of the Arctic, Tilman and his pilot cutter Mischief head south again, this time with the Antarctic Peninsula, Smith Island and the unclimbed Mount Foster in their sights. Mischief goes South is an account of a voyage marred by tragedy and dogged by crew trouble from the start. Tilman gives ample insight into the difficulties associated with his selection of shipmates and his supervision of a crew, as he wryly notes, ‘to have four misfits in a crew of five is too many’. The second part of this volume contains the author’s account of a gruelling voyage south, an account left unwritten for ten years for lack of time and energy. Originally intended as an expedition to the remote Crozet Islands in the southern Indian Ocean, this 1957 voyage evolved into a circumnavigation of Africa, the unplanned consequence of a momentary lapse in attention by an inexperienced helmsman. 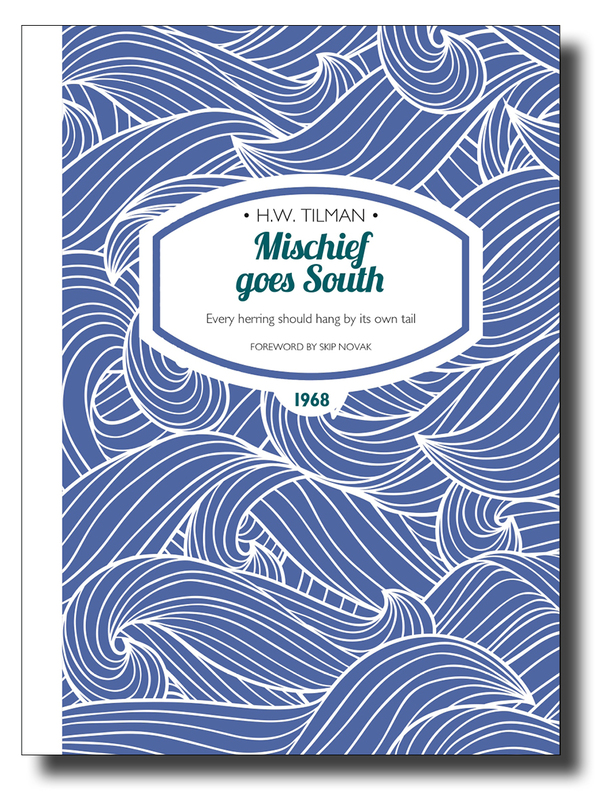 The two voyages described in Mischief goes South covered 43,000 miles over twenty-five months spent at sea and, while neither was deemed successful, published together they give a fine insight into Tilman’s character. The Tilman stories are reread on a regular basis not only for amusement, but by way of reminding ourselves of our fallibility (mistakes are still made) and for the wisdom of not taking ourselves too seriously. Some ships carry the Bible; we carry Tilman, a continuous source of inspiration and entertainment. From the perspective of a modern yachtsman who is now dependent on a variety of gadgets, and in view of so many near misses experienced by Tilman and his crews, you can understand how recent generations might discredit his methods at sea, some of which may, with hindsight, have been suspect. Skip Novak is a seasoned yacht racer, expedition leader and writer. In 1983, he launched his first expedition yacht, Pelagic, making Antarctica and the high latitudes his cruising ground. Awarded the Royal Cruising Club Tilman Medal in 2016, his sailing philosophy—like Tilman—is ‘simplicity’. Janet Verasanso has contributed an Afterword; she is an accomplished sailor who has owned and sailed boats in the Pacific, the Caribbean and the Mediterranean. In 1954 as the wife of the previous owner of Mischief, Janet became the first and probably the only woman ever to sail with Tilman. ISBN 978-1-909461-32-1; 216 x 156mm, 196 pages, photos, maps. Softcover with sewn binding, cover flaps and matt lamination.